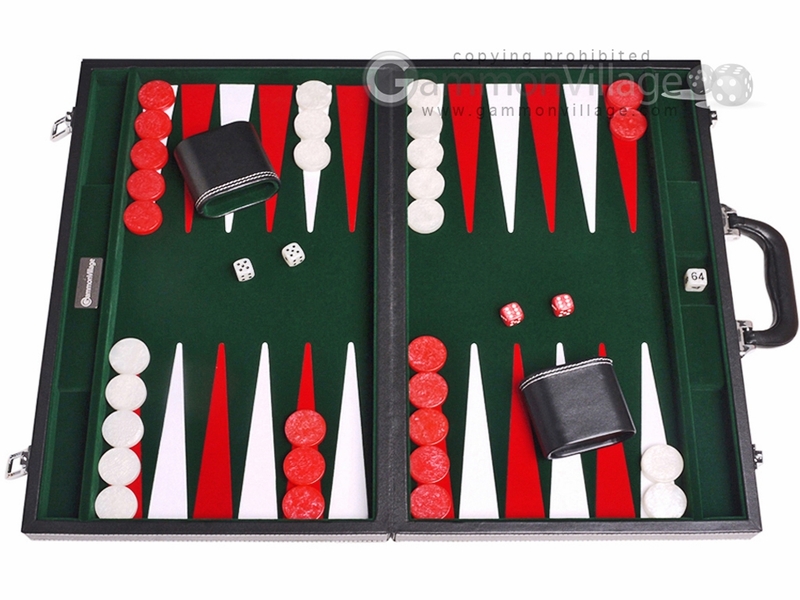 This classic 18-inch tournament backgammon set offers incredible style and quality workmanship all in one package! Featuring an ultra plush inlaid velvet playing field, it's so smooth you can barely keep your hands off it. Closed Length: 18" Width: 11 1/2" Height: 2 3/8"
Open Length: 18" Width: 22 3/4" Height: 1 1/4"
Page P5333 Copyright © 1999-2019 GammonVillage Inc., USA. All rights reserved.